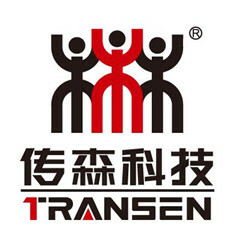 Continuous Copra drying system - Dalian Transen Technology Co.,Ltd. This video shows you the continuous copra drying system (patent applied) including continuous coconut cutter, primary and secondary copra dryer, continuous coconut shell charcoal machine with hot air recovery chamber (patent applied), hot air blower to both the dryers, flue gas outlet from the charcoal machine. The entire system is designed to produce copra from mature nuts within 24 hrs. the nuts are cut into two halves in the cutter. the water and the waste from the cutter is collected separately and can be used for bio gas production which can be utilized for thermal or electrical application. the half cut nuts are taken and put in the primary dryer. the time of nuts travelling in the primary dryer varies depend on the drying range required for effective scooping.the half dried nuts are discharged at the bottom of the primary dryer and scooped manually. the shells are taken to the charcoal unit where it is converted to charcoal continuously. during the charcoal conversion process, the heat evolved from the charcoal machine is collected as hot air by the hot air recovery chamber which is inbuilt with the charcoal machine. the hot air is collected by the blower and supplied to the dryers. the scooped nuts are then transferred to the secondary dryer and time is maintained to completely dry the copra to the required moisture level. It is possible to full dry the copra even to 3% level in the dryer. the dried copra is pure, sulfur free, fungal and bacteria free. the flue gas from the charcoal machine is let out through the chimney. the flue gas is full of carbon dioxide and no traces of carbon monoxide. so there will be no pollution issues by using this system. traces of carbon dioxide is also very less. It is possible to expel the coconut oil continuously after the dried nuts are discharged out of the dryer. So the time of converting the raw coconut to coconut oil will be around 25 hrs. there is a possibility to convert the charcoal to activated carbon continuously which is under development. Total integrated coconut processing like copra and coconut oil, charcoal and Activated carbon are possible within the same factory. This type of processing fetches more margin from the following points. 1. only one transportation of raw material for multiple product output. 2. Efficient process energy utilization within the system. 3. Production plan throughout the year without the affect of seasons.